10 Apr What are the best techniques for off-page SEO 2019? What Are The Best Techniques For Off-Page SEO In 2019? 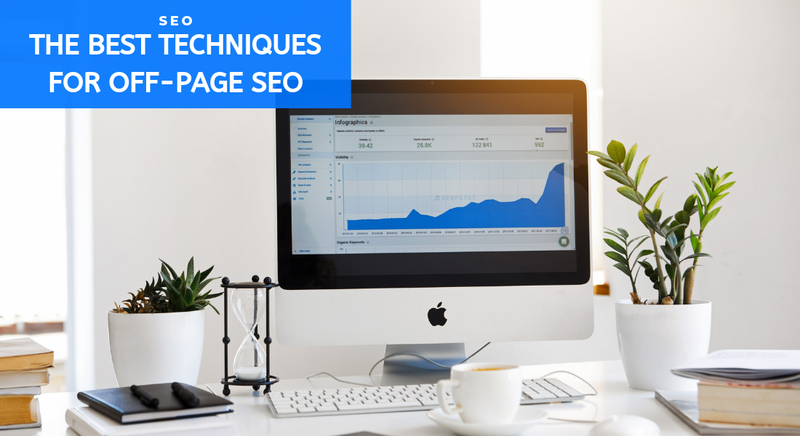 You may have already tried out various techniques for on-page SEO. Now, you have to do your SEO activities outside your own platform. We call it as the off-page SEO, and it helps in getting higher ranking for your site. Write informative and fresh articles and insert keywords to them. Tumblr, Github and Evernote are the best article submission sites. You will get higher business authority and more traffic to your site. Google has a special new section, and by writing PR, you can make your site, appeared on this section. This will help you to get several visitors to your site. PR is also the best option for successful link building. To have backlinks to your website, you can rely on Press Release. It is another off-page SEO technique, helping you to build more links to your website. A website webmaster has to write the articles as guest posts. The actual author gets a chance of placing the links of his own website article into the particular article. He has to do it in a way to get value from the links and to have more visitors at his website. This is one of the most common SEO tactics. However, it is not easy to find an online directory that gives you instant approval. By choosing the reliable directories, you will have the best quality backlinks to your website. They will also increase the visibility of your site on the search engines. As one of the off-page SEO processes, social bookmarking helps you in getting faster result. For social bookmarking, you have to submit videos, images, webpages and article links on different websites. Get a high authority, effective backlinks, useful for your site. Quora, Ehow, Superuser and answers.com are the most common sites to the Internet users. These online portals are useful to your potential customers to look for answers. Thus, nowadays, lots of SEO professionals think of getting an advantage from these sites. The visitors at these sites enter their queries to get solutions. You have to create an account at those sites to search for the relevant questions and give reply to the visitors. While giving them the solution, you may add the link of your website. The visitors click on your link to get information, and your website will have higher ranking. The SEO professionals have chosen it as one of the latest techniques for off-page optimization. You know that infographics are graphically represented data. You can infographics to depict the useful information on your services or product. There are special websites to submit these infographics. Slideshare, Piktochart and Allinfographics are the best sites for submission of infographics. Create unique and attractive video by adding the images, sounds and snapshots. The video has to tell everything of your corporate website. The video length has to be 2 to 5 minutes. YouTube and Dailymotion are the best sites to submit the videos. You may rely on any of these techniques for off-page SEO of your site. There are also professionals to help you with their off-page SEO services.